That spot between Nahum and Willow is the perfect size for Rose. 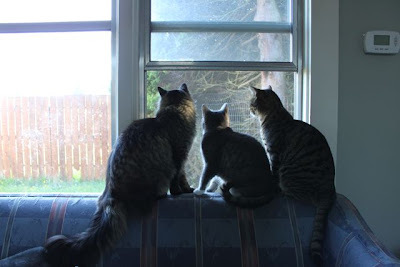 So who says four cats is too many when they all can look out one window? !